At the Hayslad there is an important water spout which is a favourite place for locals and visitors alike to sample the famous Malvern water. There is a small lay-by on the west side of the West Malvern Road opposite to the water spout. 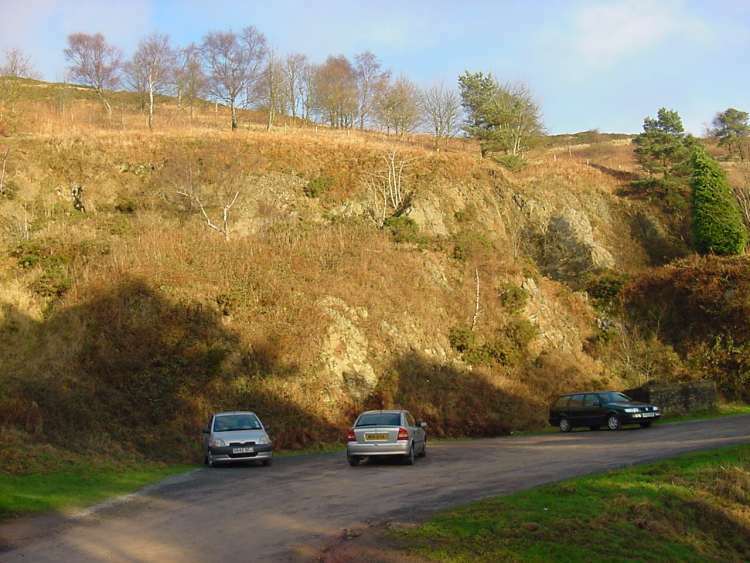 After leaving West Malvern take the metalled road on the left hand side that is marked 'West of England Quarry'. Park at the first parking spot on the left hand side. From here take the path that leaves the car park in a northerly direction (not the one marked 'Residents Only') and this leads to the quarry face. Alternatively use the path behind the spout that leads up the hill from the spring. 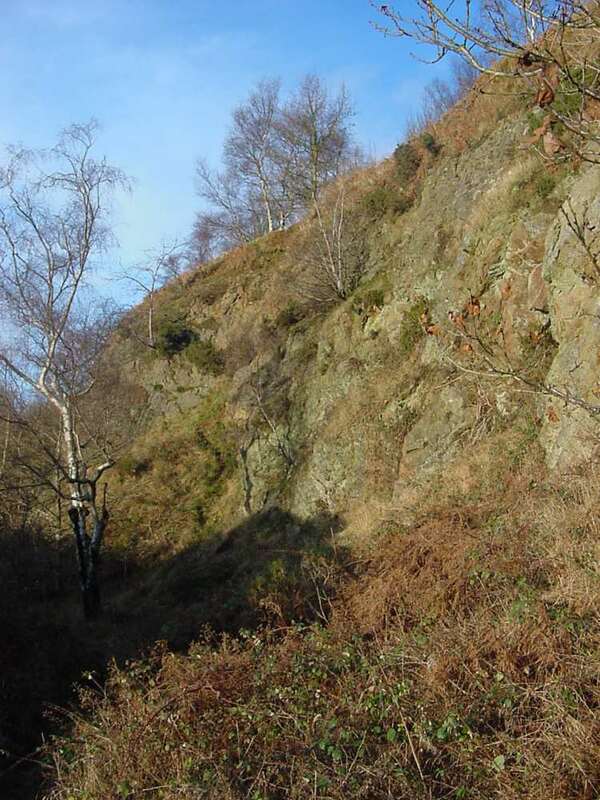 This quarry (not to be confused with the West of England Quarry which is on the same level but slightly further south) has been closed for decades and the whole site reclaimed with mature trees and grasses. Both photographs were taken by Andrew Smith on 27th December 2002. 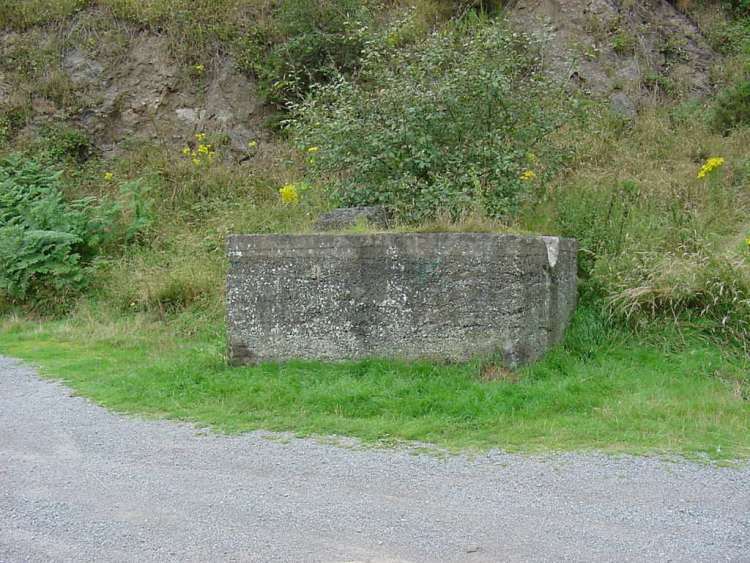 This concrete block is clearly a relic left over from the days when the quarry was operational. It probably held the supports for a granulating machine. Photograph taken by Andrew Smith on 11th August 2002.